Deriving an inference from his own facebook post caption to his two-grid before-and-after photo [left shot showing his mustache before he went to the barber's, right shot showing his desert upper lip after leaving the barber's], a relationship expert will say Jahwi's mustache was cascading over his upper lip and the hair was giving his girlfriend a very uncomfortable feeling during kissing, so she wanted it shaven off. 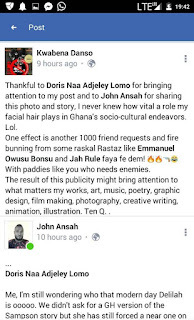 So yes, according to Jahwi, the Ghanaian reggae artiste, he shaved his mustache to please his girlfriend's as she was suffering a kissing discomfort from it. 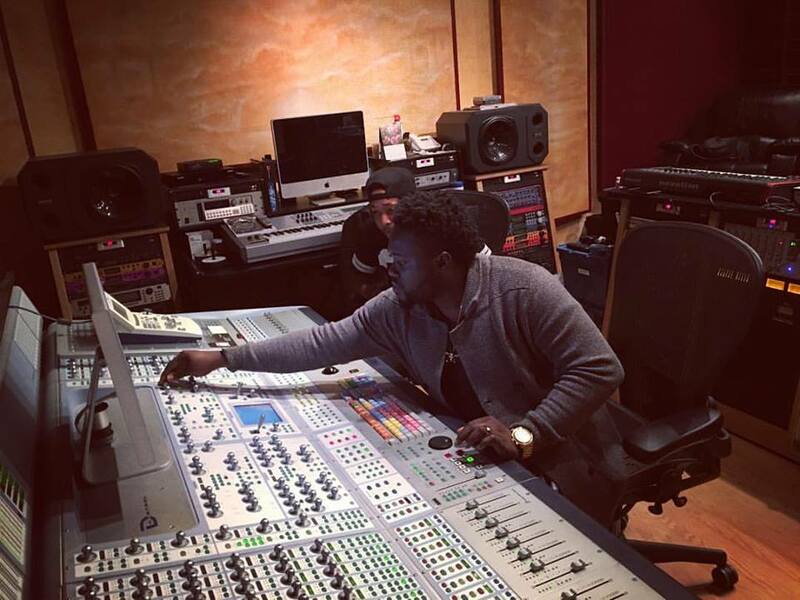 Jahwi's very concerned facebook friends descended on his comment thread to express their views, the his reggae colleagues are of the apprehension that his girlfriend may one day tell him to cut his dreadlocks while some of his lady facebook friends say his new look is more intimate and cool. 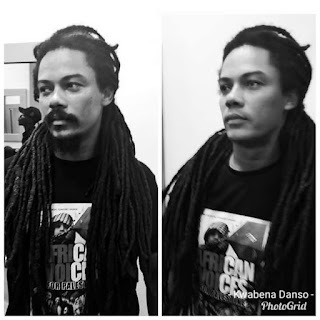 It sounds like a modern day near Sampson-Deliah reality, but this is a very serious issue most or some male dreadlock wearers are facing in their love relationship. Often, the pressure comes from their girlfriend's family, peers or social associations. Some, after giving the overbearing pressure a second thought, unwillingly shave their dreadlocks just to keep their relationship ---- but the ever staunch rastamen quit the relationship for a new girlfriend who accepts the wearing of dreadlocks and embraces their faith and lifestyle. At the moment, it's not clear that Jahwi will shave his dreadlocks too even if his girlfriend insists. Her shaving insistence only had to do with his mustache, just a writer's inference, though. 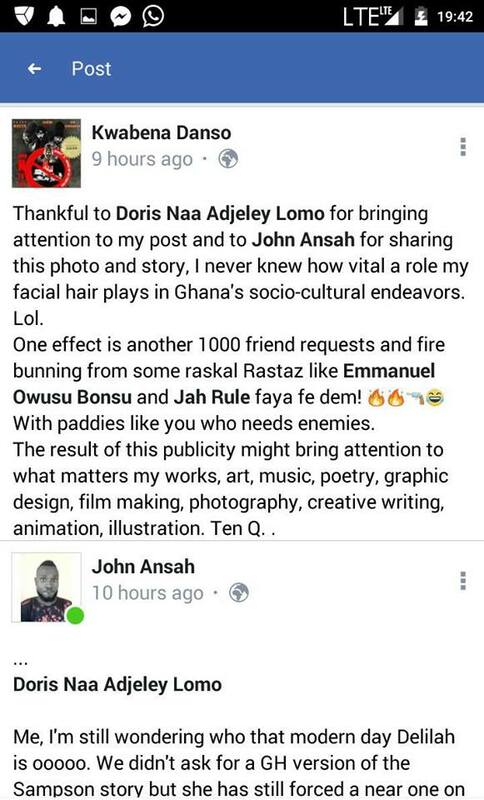 Jahwi [Kwabena Danso, on facebook] later thanked his friends for their comments and sharing of his post, saying it has fetched him new friends requests from which he expects some career deals.